We are off to a fantastic start! All classes have begun to meet in the Computer Lab and begin technology lessons. 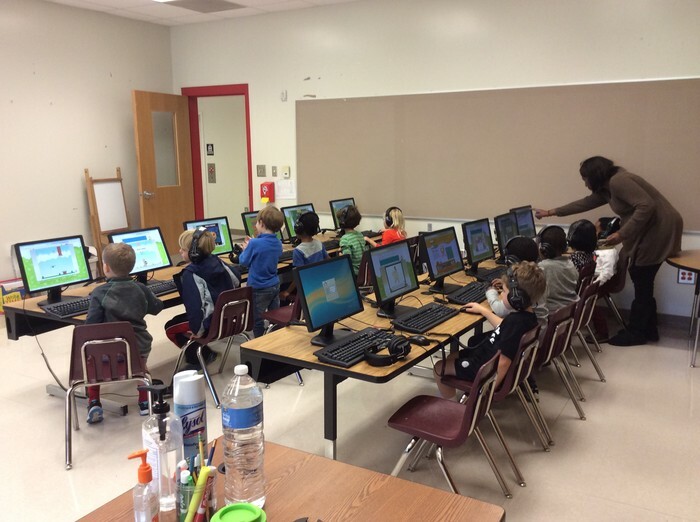 Each class has a dedicated 45 minute session in the lab with Mrs. Madden, every other week. Some classes have even had Mrs. Madden come to their classrooms with the MacBook cart or iPad Mini cart! We LOVE our tech times!! 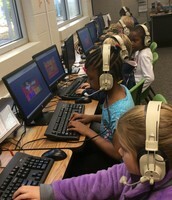 The students at the Primary Campus have been busy learning about proper mouse handling techniques, and keyboard letter recognition. 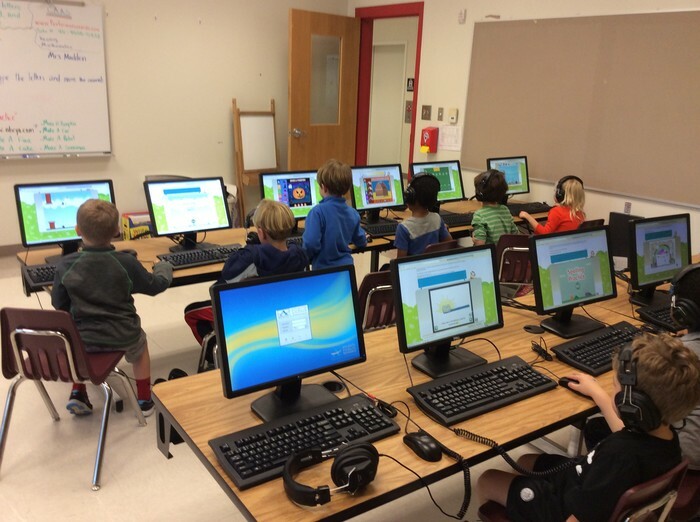 We used games such as "Make A Pizza", "Build A House", and "Bake a Cake" on the website ABCYA.com to practice mouse skills of click, click and drag, double click and more. 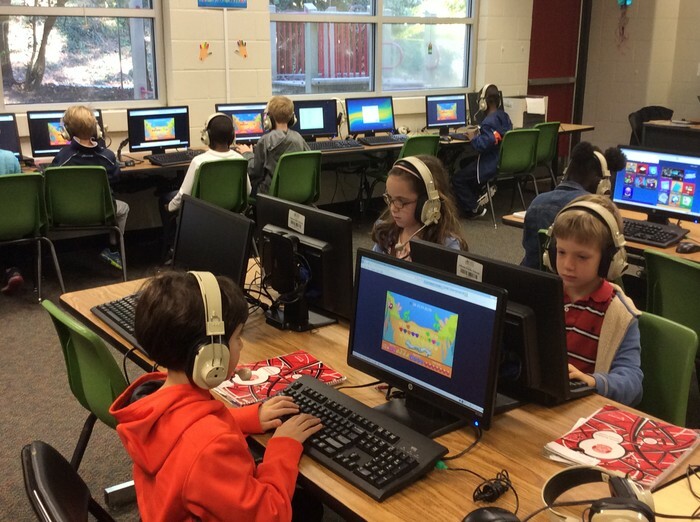 We also used the website Mouse Practice for more fun while learning this important skill. 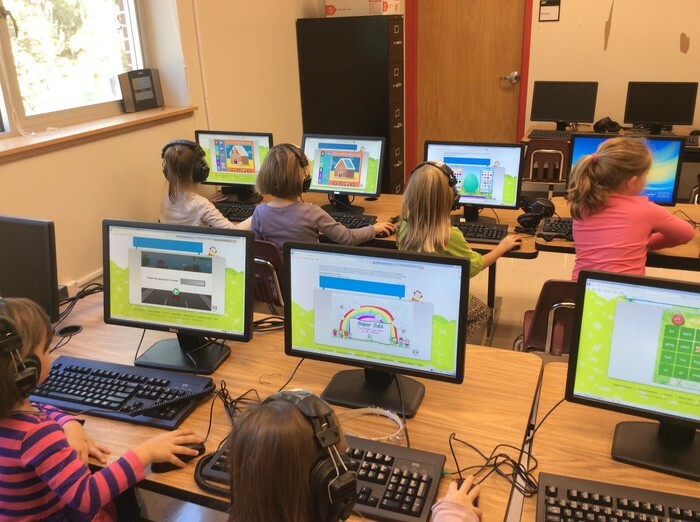 As an introduction to Keyboarding Skills, students used the game "Keyboarding Zoo" to become familiar with every letter key on the keyboard. For more practice, some children found a challenge in the game "Type Rocket Jr.". Both games are on the abcya.com website. 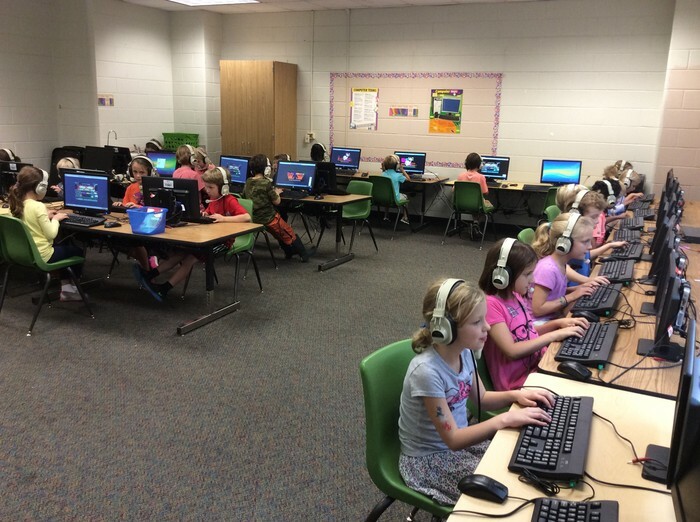 All students have been practicing basic keyboarding skills. We are currently focusing on proper hand placement, posture, and working on the Home Row. Ask your child to show you what we have been doing in the lab! 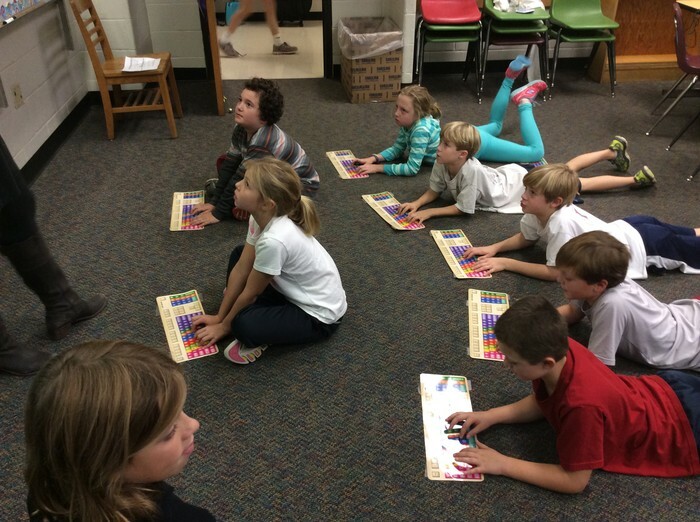 Grades 2 & 3 are using Dance Mat Typing as their primary source of practice in the lab. 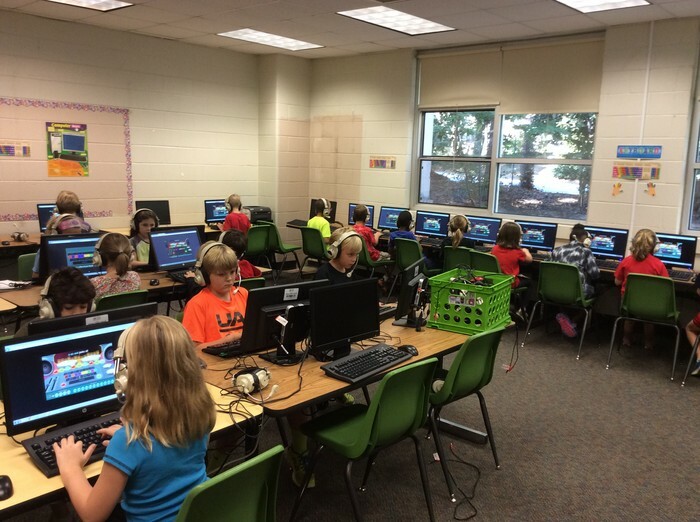 Grades 4 & 5 are using The Typing Club for practice. If possible, please allow your child to use free time at home as an opportunity to practice keyboarding. They will benefit greatly from the extra practice! Also on the Main campus, some classes have begun to explore the features of MyBackpack, especially Write (MS Word Online) and Present (MS PowerPoint Online). 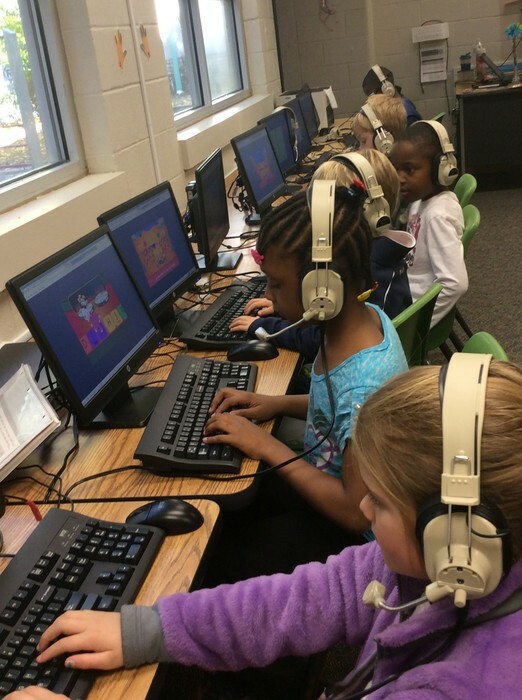 The kids are so excited to be learning new skills such as formatting paragraphs, modifying fonts (style, color, size, etc)., and inserting clip art and pictures. We will continue to work on these skills and others in the coming weeks. In Present, we are transferring our learned skills from Write into dynamic presentations. We will continue to build on our skills and learn how to insert transitions and animations, create hyperlinks, embed videos, and some Power Point Best Practices.